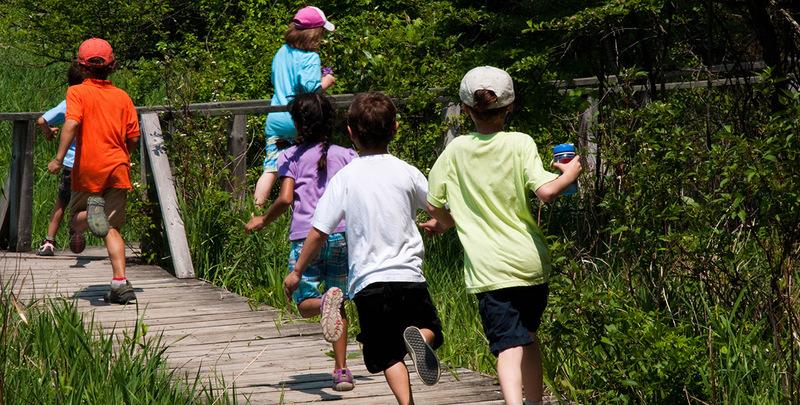 Plan an outdoor adventure at the Kortright Centre as part of your camp, daycare or youth group program, and discover the fascinating world of nature. We offer a variety of fun and informative nature discovery programs, taught by environmental educators. Most programs are ideal for children aged 6 to 14. For preschool children, we recommend the programs Bug Hunt and Nature Exploration. We are pleased to offer 1 complimentary admission to teachers and supervisors for every 10 participants. A 50% deposit is due one month before your visit. ATTENTION GROUP LEADERS: Please contact us if you do not see a program that meets your needs. Our staff can modify programming to meet the requirements of a wide variety of group types. Imagine you are a squirrel, a deer, or a rabbit: how would you survive in the forest? Observe Kortright’s active bee hives from the safety of a screened-in building. Learn about GPS technology and how it is used. Hike through owl territory and learn to “hoot like an owl”. Journey back 400 years and learn how the Wendat people used natural resources to survive. Programs are 1.5 to 2 hours long. Morning programs are from 10 am to 12 pm. Afternoon programs are from 12:30 pm to 2:30 pm. (These times may be adjusted slightly to accommodate your travel arrangements.) Full day programs include a half hour lunch break. Kortright Centre has partnered with bypeterandpauls.com to make optional boxed lunches available for groups. Please see below for menu selections.